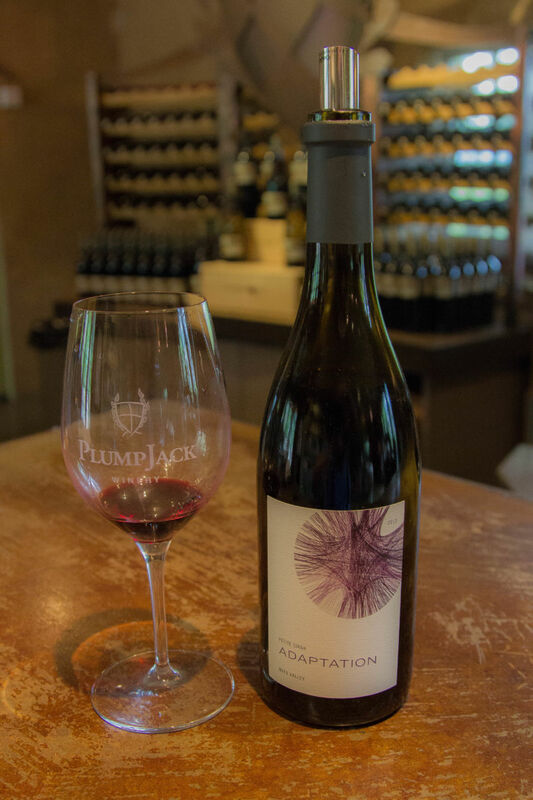 We first visited PlumpJack winery several years ago when we were exploring Napa. I can still vividly remember my first impressions of both the winery and the wine as though it were yesterday. The Brit brought me down this little winding road and we parked in a dirt lot. There were signs to the winery, but nothing could be seen. I wondered where the heck we were and if Children of the Corn were going to come out and grab us. When we came upon the tasting room buildings my concern increased. Far from the glamorous, commercial places for which Napa is famous, this looked like out-buildings for a farm. There was no pomp or pretensions. Then I tasted the wine. I can remember just how impressed I was; feeling it to be superior to 90% of what I had previously tasted. Of course, that was before we had much experience in the valley so I really didn’t have much with which to compare it. Now, I can say that I have tried enough wine in the valley to agree with my first impression. 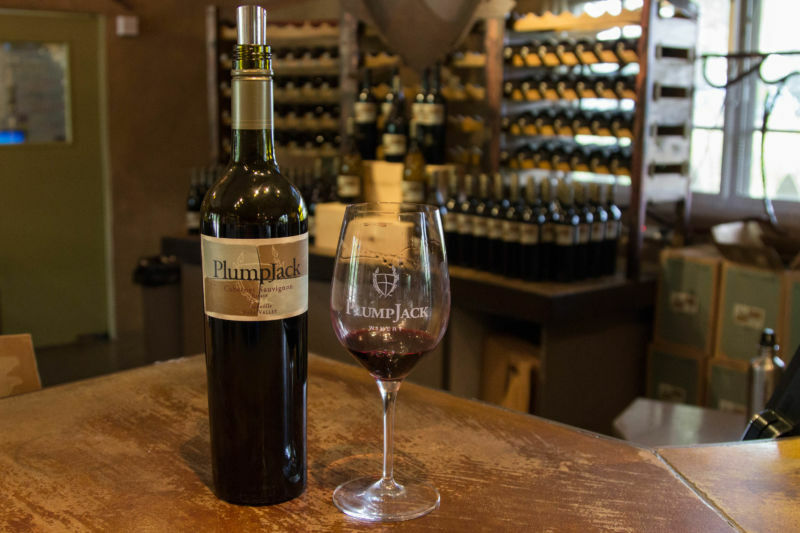 The Brit Comments: Back in 2012 we visited PlumpJack during a birthday tasting day in Napa. California Girl expressed serious doubts as we drove up to the tasting room, as the approach down a narrow track led to nondescript farm buildings. The wine, however, changed her opinion. For the last four years we remembered great, but expensive wines. We decided, four years on, to revisit and see if that initial opinion was correct. Our recent tasting was much like the first. The road to the winery has been improved a bit, but not much else has changed. The buildings seemed to be freshly painted, but all was pretty much as I had remembered it. Even our host “Bull” was the same guy who had poured for us the last time. He was just as kind of grumpily charming and oh so knowledgeable as had been the case on that first occasion. With a name like Bull he’d have to be right? Like the tasting room, he’s non-pretentious and totally down to earth. We really enjoyed our time with him and the full tasting we received. My impression of the wines at PlumpJack back then had been that they were very expensive. Our perspective on what constitutes expensive has changed considerably. I was a little chagrined to see that now the wines were right in line with what we now find normal. The Brit Comments: Yes, the wine still impressed with quality, but no longer intimidated with its price. The owners of PlumpJack also own The Carneros Inn, The Boonfly Cafe, CADE winery, and Adaptation wines from the Odette Estate. They were pouring the CADE, Adaptation, and PlumpJack labels at our tasting so we could get a feeling for what they were doing. All of the wines were absolutely outstanding and it was hard for me to pour out between tastes. We started off with the CADE Sauvignon Blanc. It had a fresh, floral clean nose. The flavor was rich with a heavy grapefruit finish. For a Sauvignon Blanc it was good, although I am rarely a fan of this varietal. 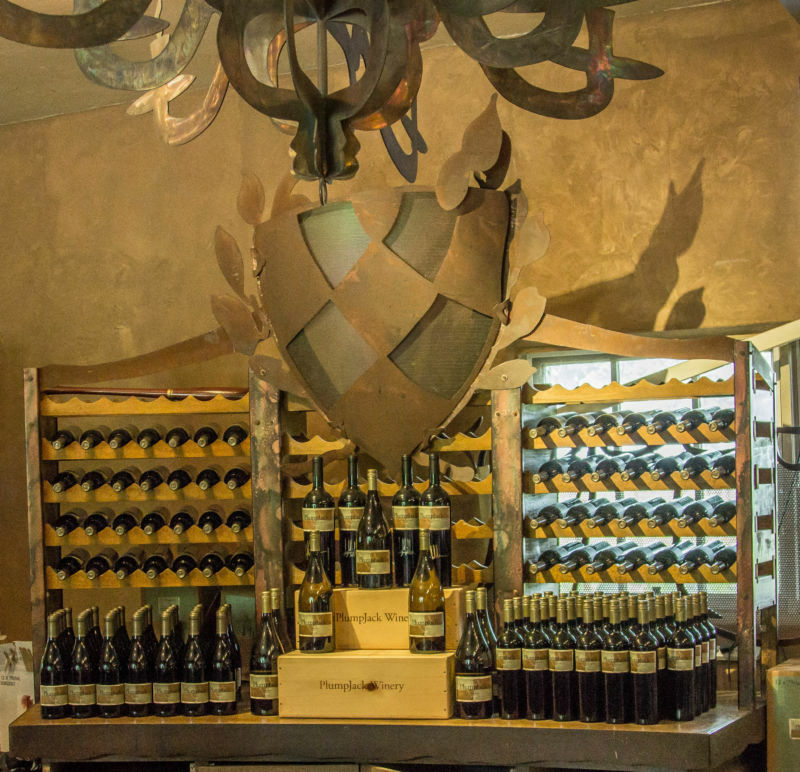 The 2013 Adaptation Chardonnay is mostly steel-aged with only 10% oak for structure and balance. It had an interesting and complex soft fruit finish. At $32 a bottle I felt it was extremely good value for a wine of this quality and flavor. Moving on to the 2013 Adaptation Cabernet Sauvignon, I was rocked back in my chair. Silky and rich with round fruit flavors of black currants and blueberries. For $54 per bottle I thought this was a bargain. A wonderful sip, and something I would love now or even more with a bit of age. The 2013 Adaptation Petite Syrah at $44 a bottle had a gorgeous nose. Lots of fruit and soft tannin on the palate. For me the flavor of plum really came forward in my tasting and although I’m not normally a fan of Petite Syrah, I really enjoyed this taste. The cade Estate 2013 Cabernet Sauvignon was outstanding. I absolutely loved this wine; blueberry, cream, vanilla, and baking spices were what flooded my palate. It did have a dry finish that will mellow with age. My tasting notes say: Stunning! At $80 a bottle, I thought it was well worth the price for a special occasion bottle. This is drinkable now and will age making it even richer and more gorgeous. The Brit Comments: California Girl’s apparent random use of upper and lower case letters when writing “Cade” is the fault of the winery; not because she has drunk heavily of their produce, but because they deliberately change the capitalization for different wines. PlumpJack Estate 2013 Cabernet Sauvignon – Oakville was what you would expect from a Napa Cab; heavy and rich, this wine really was too young to drink now. With five years in a cellar, this is going to be an outstanding vintage. You could taste, even as young as it is, all the structure and fruits just waiting to mellow and gain richness. This will still be an in your face wine, but one that you would love with a big juicy steak. CADE 2013 Howell Mountain Estate is unusual as it is fermented in artisan stand up barrels called punchons. It had a nose of rich berries and a big flavor on the palate. This wine for me needs age to show its true worth; a minimum of five years, though I would like to see about seven to come to its full potential. Priced at $98, it was very good for a cellar wine. The Brit Comments: We decided that we needed a bottle of this wine. It is in the cellar waiting for 2021 or 2023 to roll round so that we can enjoy it. 2012 PlumpJack Reserve was one of the best wines I have ever had the pleasure to sip. At $300 a bottle, it is the ultimate special occasion wine. It is still young, another five years and this will be so good you won’t even want to share it. The immediate taste of raspberries came to my palate, followed by a beyond rich full body, and a long finish. If you are drinking this wine now, decant it and let it breathe so you can taste all it has to offer. My notes say: Serious quality to the wine, the perfect marriage between dry and fruit forward. Our last taste was the 2013 PlumpJack Syrah. This had an amazing nose full of spices and fruit. The wine was a little dry for me, but again it’s so young. For $56, put it away for a couple of years and you will get something that tastes far more expensive. A great sip. At the end of the day, it just goes to show that flashy isn’t always best. 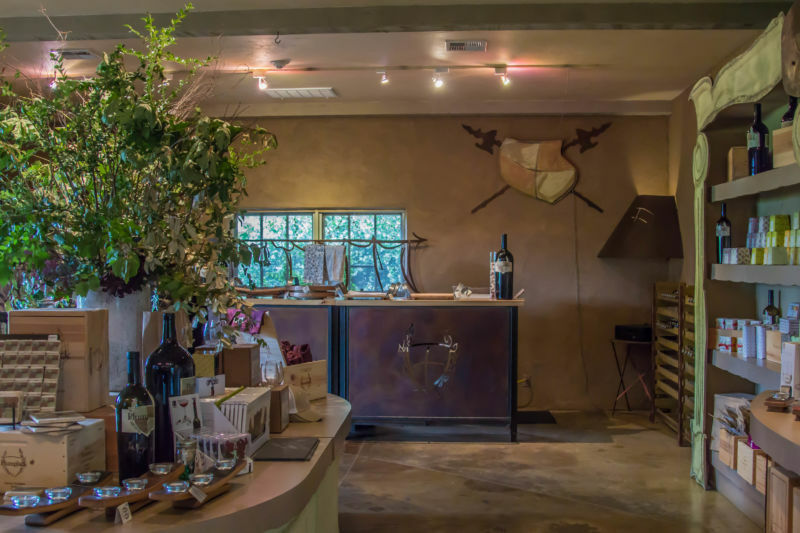 This little, unassuming, and modest tasting room brought us amazing wine. Take time out from visiting the bigger, more glitzy places, stop and taste the good stuff here. You can tell them California Girl sent you.